Schmidt's SONdelux Wide Body dynamo hubs are designed for quick release forks and rim brakes, with 68mm spoke flange spacing for a stronger wheel build. 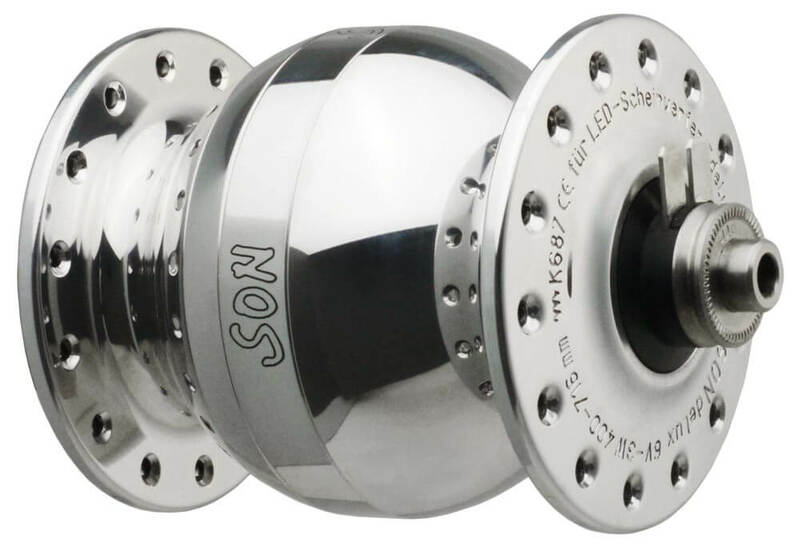 SONdelux hubs provide the lowest possible drag while powering your lights or USB devices as you ride. These lighter, smaller SON dynamos are designed for 16" and 20" rims. Complete wheels are available upon request. Please contact us for further info.